The Master Lock No. 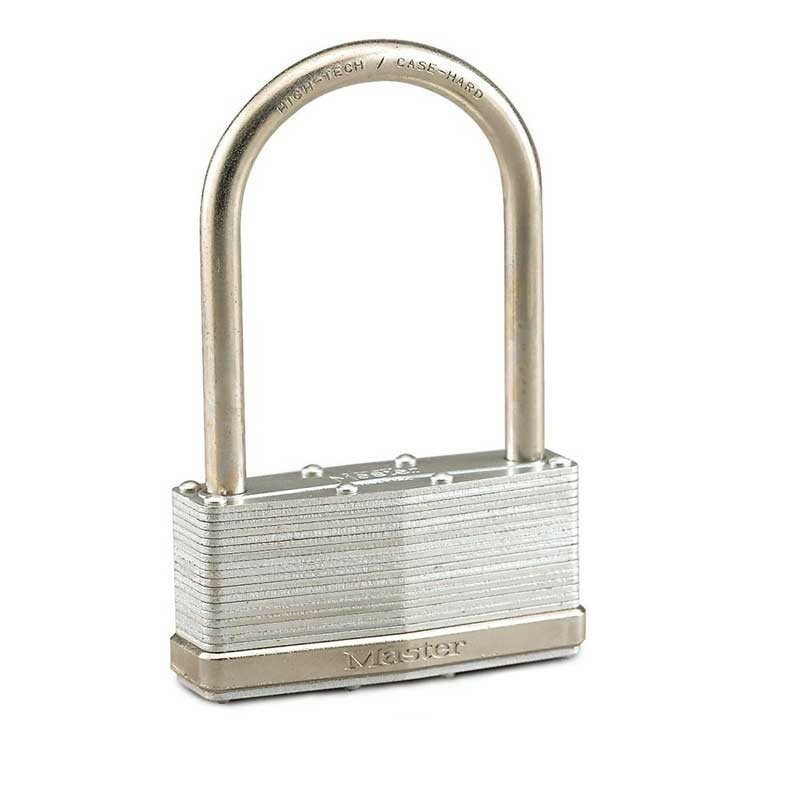 101 Laminated Steel Padlock features a 3-1/4in (83mm) wide laminated steel lock body providing extra strength and a 3in (76mm) tall, 5/16in (8mm) diameter hardened boron alloy shackle for superior cut resistance. Ideal for commercial refrigerators and other wide-span applications, a dual locking mechanism provides extra pry resistance and the rekeyable, 5-pin W27 cylinder helps prevent picking. Ideal for commercial refrigerators and other wide-span applications. 3-1/4in (83mm) wide laminated steel body for superior strength. 3in (76mm) tall, 5/16in (8mm) diameter hardened boron alloy shackle for superior cut resistance. Dual locking mechanism provides extra pry resistance. Rekeyable, 5-pin W27 cylinder helps prevent picking.